RC Graphics is a family-owned and operated business. We pride ourselves on excellent customer service, meticulous installation, and affordable prices. Our main source of business has been through referrals from previous clients. We recognize we are only successful when out clients are satisfied. So we ensure all our customer's needs are met, and often times exceeded. We make sure your investments in our signs and graphics are handled by professionals willing to go the extra mile!! 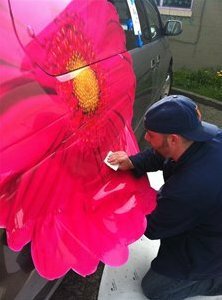 From interior graphics to exterior storefronts and from simple decals to complicated vehicle wraps, we provide graphics for any need and any budget. 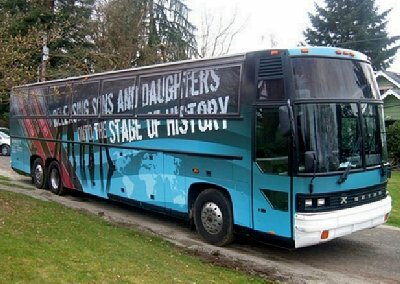 We can turn your vehicle into a moving billboard or attract more sales to your business with eye catching design and graphics. Please call 253-332-1154 for more information. We work clients all around the Puget Sound area, but primarily South King (Auburn, Kent, Federal Way) and Pierce Counties (Sumner, Puyallup, Tacoma). We can install on-site and after hours if needed at no extra charge! This saves you both time and money. This video contains examples of vehicle wraps, storefronts, signs, and some applications in action. No job is too big or small! What can we do for you? Please, email us at rick@rcgraphics7.com or use the simple form below to answer any questions or to setup a FREE estimate. Here are just a few of the graphic specialties at RCGraphics7. We can help your organization or business. If you have any questions about what we do or what we can do for you, please call 253-332-1154. 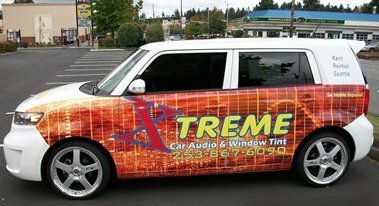 Vehicle Wraps auburn kent federal way tacoma, auto vehicle graphics auburn kent federal way tacoma, vehicle wraps auburn, vehicle wraps kent, vehicle wraps federal way, vehicle wraps tacoma, auto wraps auburn kent federal way tacoma, auto vehicle graphics auburn tacoma, Vehicle Wraps auburn kent federal way tacoma wa washington.